We’re in the midst of refurbishing old objects and building new ones for Under the Canopy, which Arts on the Horizon will produce in February. After a workshop production last summer, we learned a LOT about how babies respond to objects and what kinds of things capture their attention best. 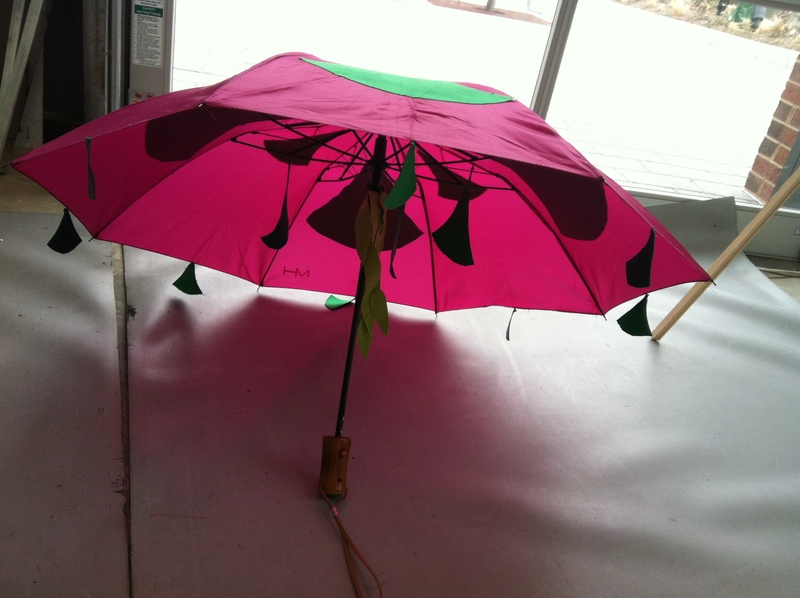 Here are a few photos of us at work as we build umbrella birds and caterpillars, ladder trees and butterflies. 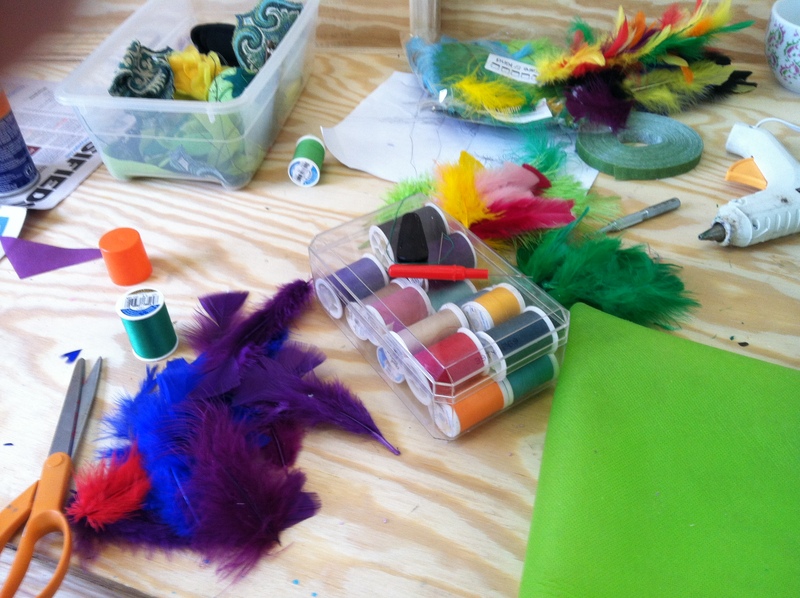 Supplies waiting on the worktable. 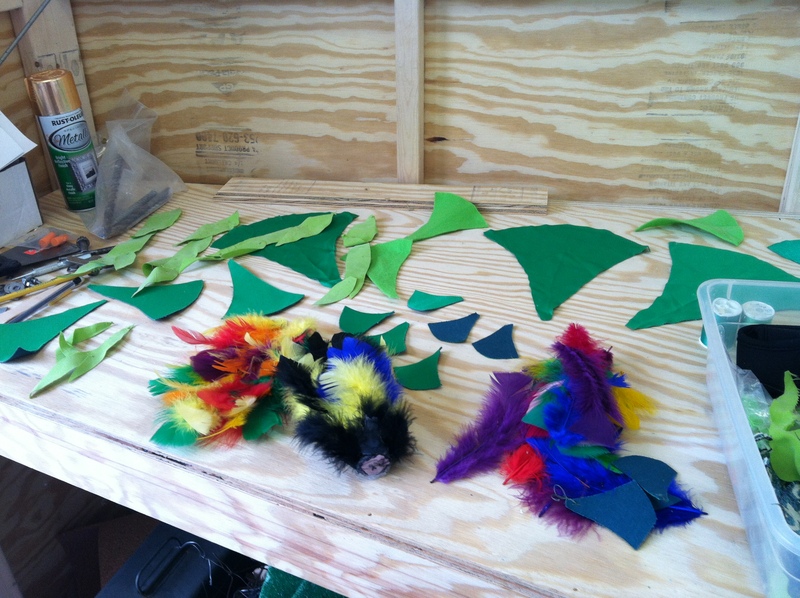 Pieces for the umbrella bird, all cut out and waiting to be glued on. All glued or sewn on, now waiting for bird tails. 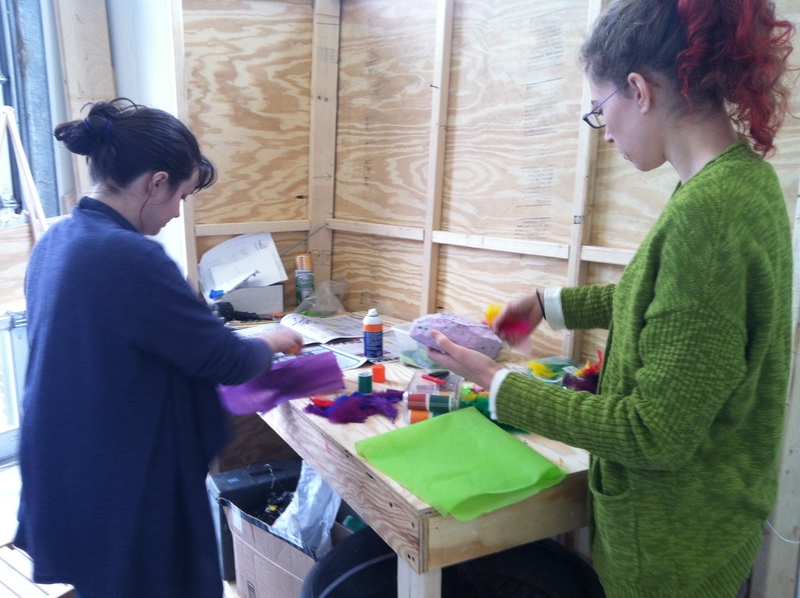 Amy and Genna at the worktable. Genna trying out placements for the bird tails. 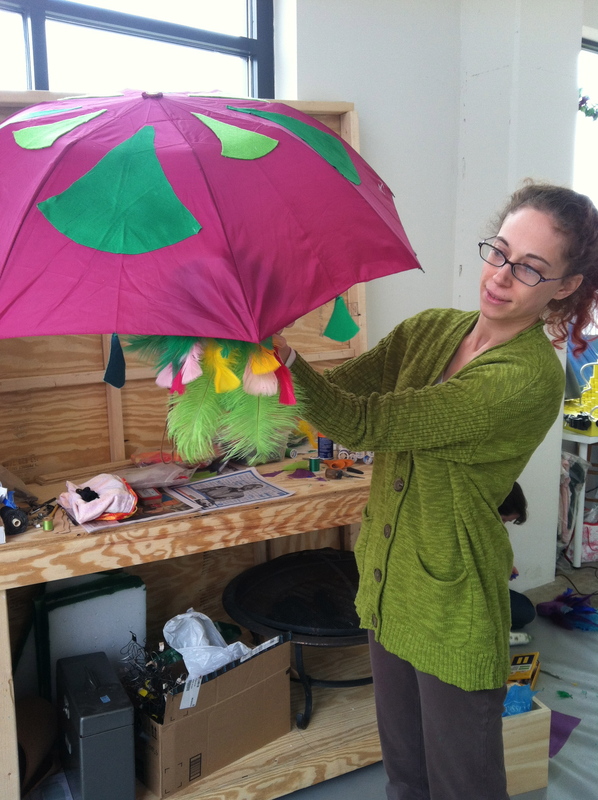 This entry was posted in Puppet Building, Studio and tagged Amy Kellett, Arts on the Horizon, Genna Davidson, photos, puppet building, puppet materials, umbrella bird, Under the Canopy by ccbooks. Bookmark the permalink.